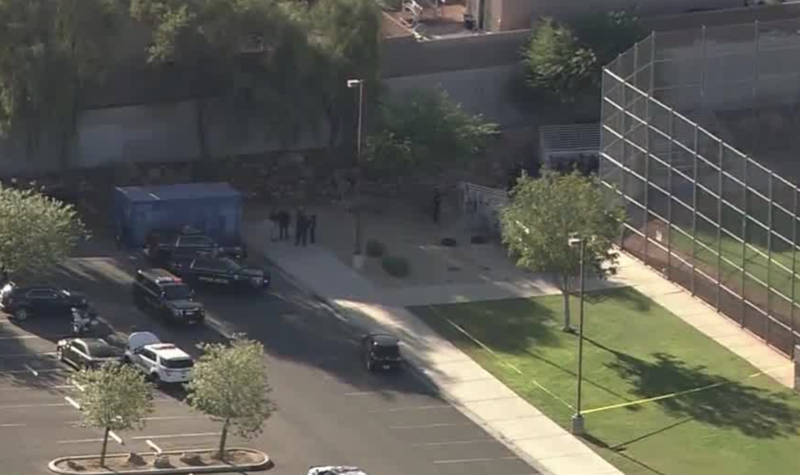 An 18-year-old man has died in a shooting on the Canyon Springs High School campus Tuesday afternoon. North Las Vegas police said the shooting happened around 2:40 p.m. on the northwest corner of campus near the baseball field. The teen was transported to University Medical Center where he later died. 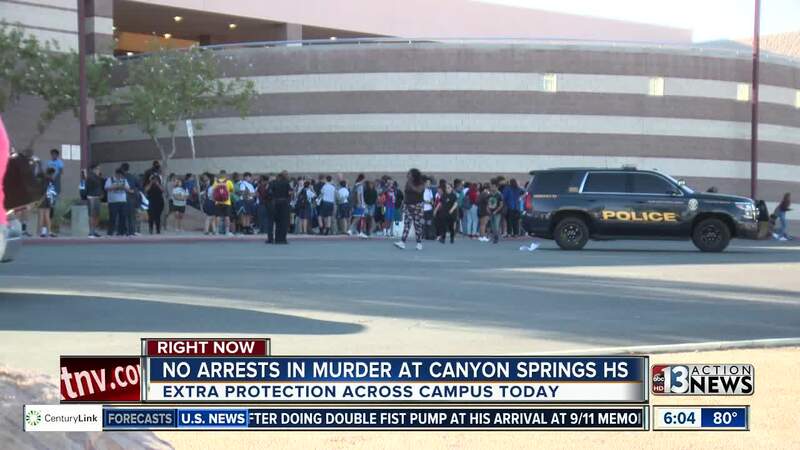 Police confirmed Wednesday that the teen was a student at Canyon Springs. The Clark County coroner identified him as Dalvin Brown. He died of a gunshot wound to the chest. Police said the shooting appears to be a targeted incident, not random. Police are also investigating whether it may be gang related. Police initially received a report of an active shooter but later determined there was no threat to the school or anyone at the school. Police searched classrooms to make sure there were no others wounded. The school, located near Alexander Road and North 5th Street, was on lockdown until about 4:40 p.m. Classes had already let out for the day but about 500 students were still on campus for a magnet program. No suspects have been detained. A gun has not been recovered. Parents gathered in the front of the school as they waited for the lockdown to be over and for their kids to come out. "I don't think she's going to go to school tomorrow and if she does, definitely not on the bus," said one mom to 13 Action News. Two high school students told 13 Action News they were practicing on the soccer field when the shots rang out. The girls initially thought the sound was fireworks but were later told by their coach to run inside. "The coach said go inside and so then we all started running and calling our parents," said the student. "There were some people crying and some people just calling their parents." CCSD says counseling resources will be available at the school Wednesday. CCSD Superintendent Jesus Jara released a statement Tuesday evening. 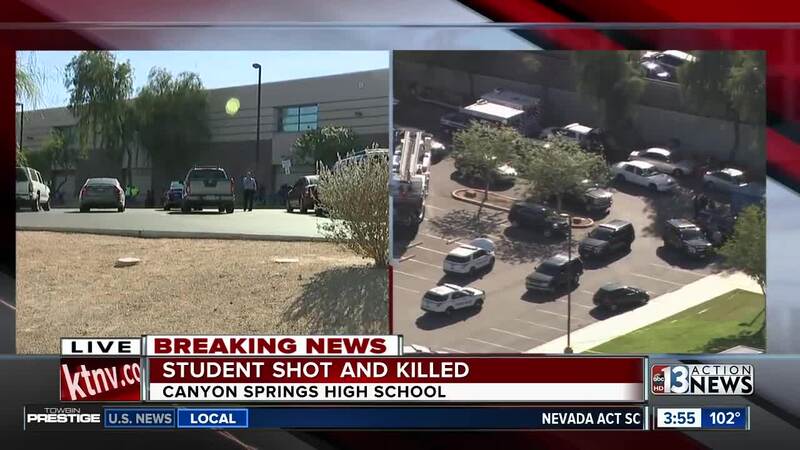 Today, after school, there was a targeted act of violence outside of the Canyon Springs High School building, and a life was lost. On behalf of the CCSD Board of School Trustees, I extend my condolences to the victim’s family. While most students had left the campus for the day, several hundred magnet students and athletes were on campus. I want to thank administrators and teachers who worked quickly to ensure all students were moved into the school safely for our lockdown procedures. Staff members followed their training and kept students calm until the lockdown was lifted. We are thankful for our School Police who were already on campus and were able to respond immediately. We are also grateful for the response and partnership of the North Las Vegas Police Department, who provided assistance to contain the situation quickly.